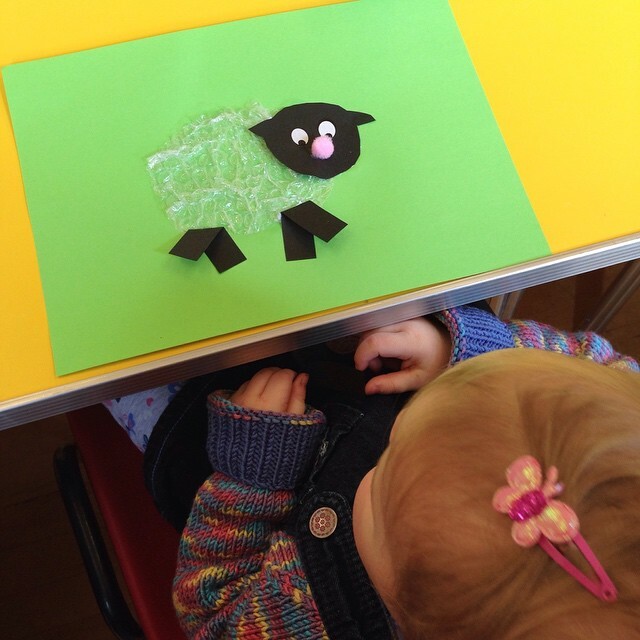 A fun and easy craft at Toddler Group today ….. sheep using bubble wrap, black card, stick-on-eyes and pompom. 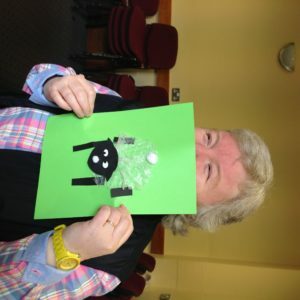 The craft was devised by our one and only Shirley ….. 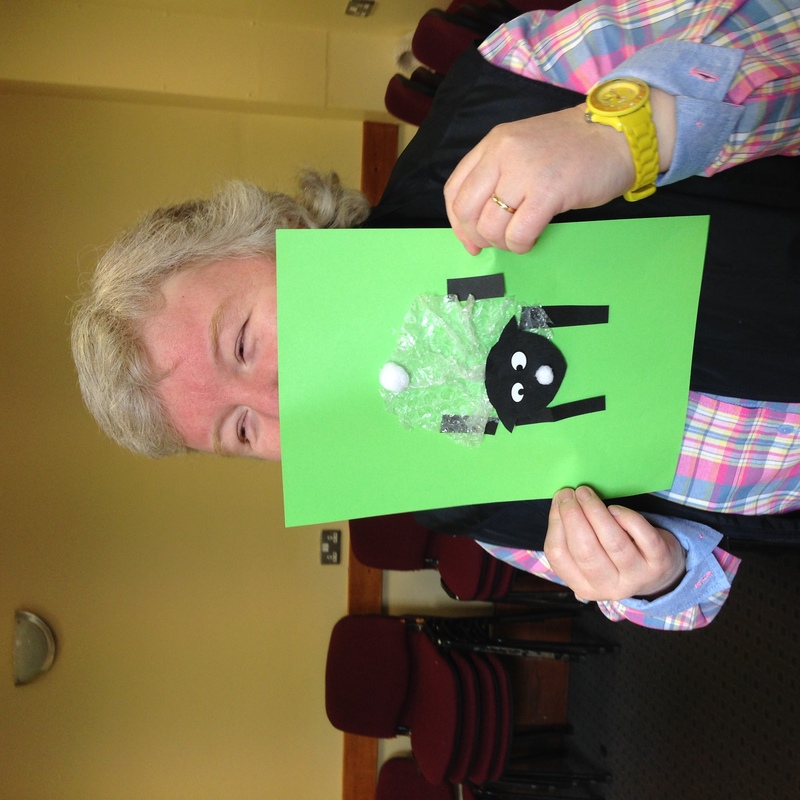 Here she is with the original “Shirley the Sheep”!! « Ulster Rugby Schools Cup Final – St Patrick's Day – go Wallace!